One of the ways to live frugally is to never waste food. We all have had a time when our bowl of cereal was eaten down to a soggy blob. I am not the only one who threw that blob away! Many, like myself, like to add fruit and nuts to their cereal. If you put the fruit and nuts on the bottom of the bowl, and do not stir, they will keep the cereal from soaking in the milk. Of course, you have to limit the amount of milk you put in the cereal. If you are watching your weight, it is a good idea to measure both the cereal and the milk. 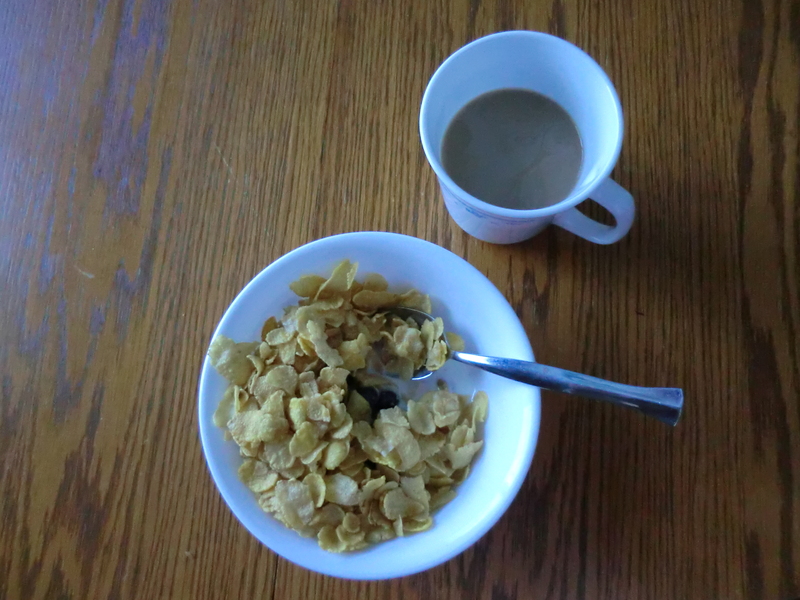 I think I had two servings of cereal in this bowl and one serving of milk. If you dip your spoon to the bottom and scoop up a bit of fruit and nuts with each spoonful, your cereal will stay crunchy. Remember to put your fruit and nuts in first! Put fruit and nuts in the bowl first.